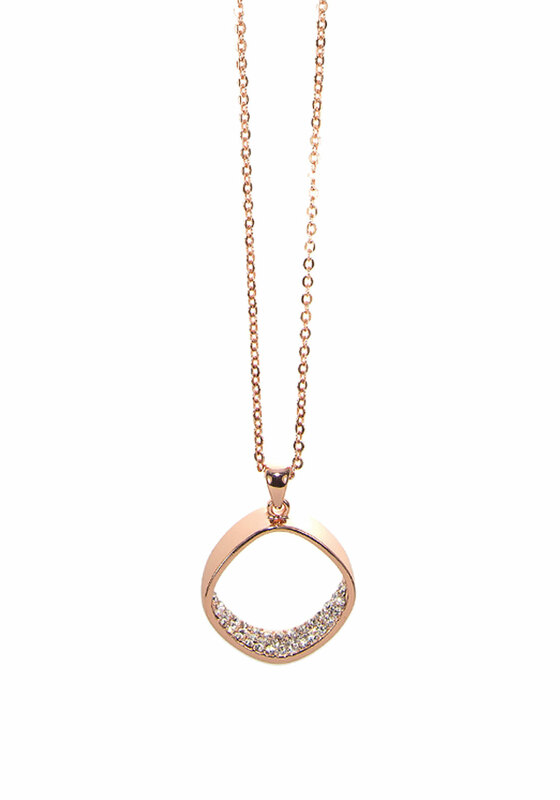 Add an extra touch of glamour to your outfit with this beautiful rose gold plated necklace from Absolute Jewellery. Designed with a long thin chain which has a pave embellished square pendant at the bottom. Fastens with an adjustable lobster claw fastening.